The following is just an overview, contact us for more details. Videographer(s) may arrive about 2 hours before your ceremony to prepare and cover pre-ceremony action with 1 video camera. We may ask the bride and groom, separately of course, to share their feelings and anything worth mentioning (fun, funny, crazy, whatever) that may have happened in preparing for this big day. During the Pre-Ceremony period we usually work to capture as many creative shots as we can; e.g. time lapse photography, slider shots, stabilizer, or other creative cinematography time permitting. If you would like drone coverage please require in advance. For the Wedding Ceremony video coverage we like to use at least 3 video cameras (more or less) and 2 videographers (more or less). Almost any number of cameras may be used and manned depending on our particular agreement, availability, and your specific needs. Currently we have two 4K Video Cameras, a 4K DSLR, and an HD video camera. We also use professional tripods to ensure tight, smooth action shots in the least invasive way possible. We may even use our 3 axis gimble to follow the bride in time permitting. Audio is very important as well. So, we do our best to capture as much as we can. This may involve using various types of mics in different locations. But, typically we only need or use one pin mic on the groom. During the Wedding Reception video coverage we use at least 1 video camera. 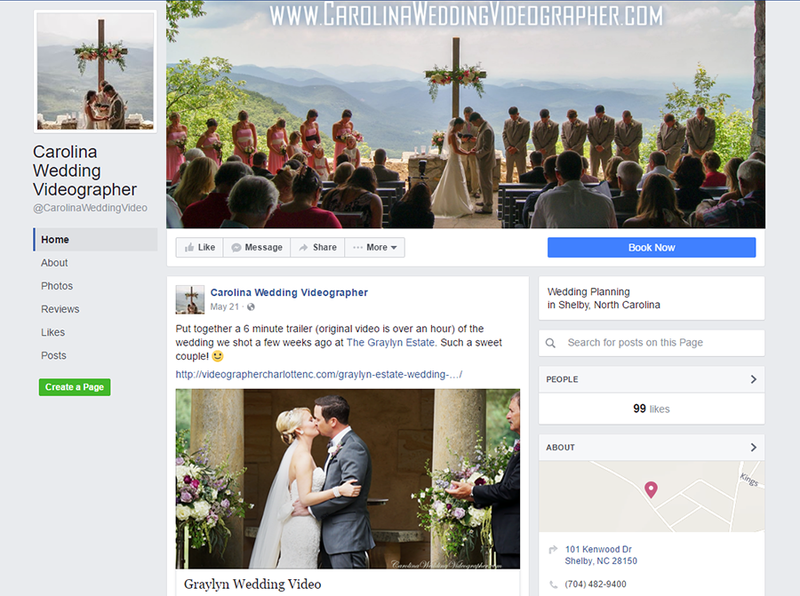 The wedding videographer may go to the reception immediately after the ceremony to work on getting feedback/comments, etc. from your guest. We also work to cover all the highlights of your reception as well (announcements, first dance, cake cutting, bouquet toss, etc…). Sometimes we find ourselves helping coordinate the overall reception just to make sure things run smoothly because the better your event the better the video! We like to wrap up asking the bride and groom to share something together for the closing shot. After the event everything is transferred to computer for editing right away. The post production phase may be spread out over approximately a one week period. We like to take our time and not rush the creative process. So it may occasionally be faster or take longer, esp. if it’s a busy season. 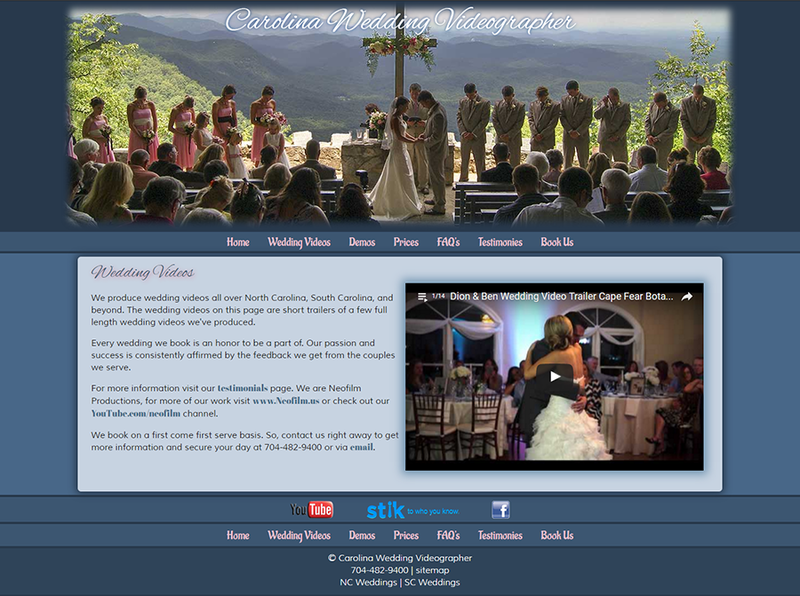 You’re wedding video may have title pages, wedding theme transitions, and effects. Transitions from one scene/camera to another are generally subtle fades or simple cuts that do not distract from the actual event. Other effects may include animations and/or split screens to show action that may be occurring simultaneously (e.g. a singer on one side of the screen and the Bride and Groom on the other). 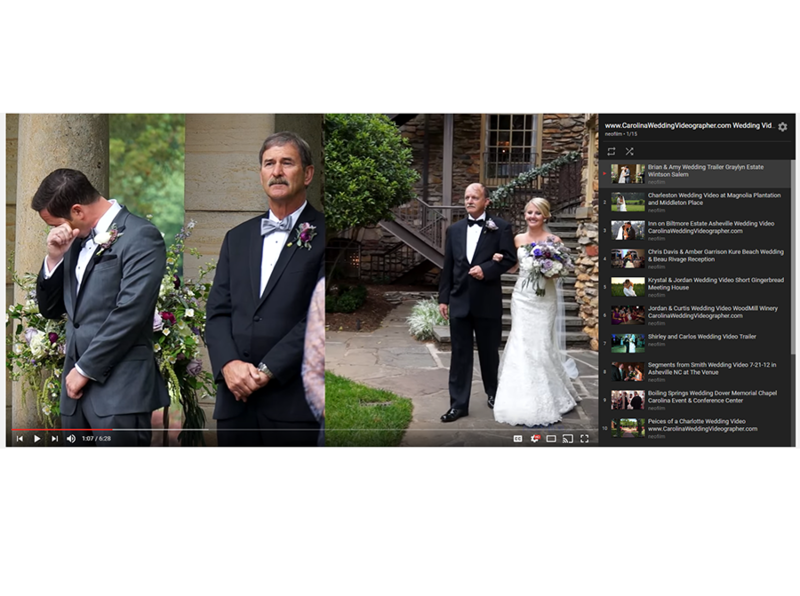 You may add your own spice to your wedding video at the intro, reception, and/or on the menu page. For example, you may put your own song, a royalty free song, and/or have picture included in the wedding video. Also, if there’s something you want to say via title pages in your wedding video tell us and we’ll include it! Below are some short demos we put together from longer versions. The version the customer recieves averages about an hour long. These demos may be older because we only create these from time to time, time permitting. If you would like a highlight video like this please let us know as soon as possible, preferrably in advance.